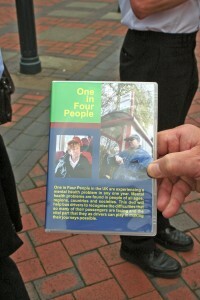 As the title of the DVD implies, one in four of the adult population have hidden mental health problems. The DVD and accompanying workbook helps drivers to feel confident in their dealings with these people. It uses role play scenarios to make its points with the aid of trentbarton’s staff and vehicles. It was launched in Derby as not only is it within the operator’s territory, it is also the home of the Mental Health Action Group. 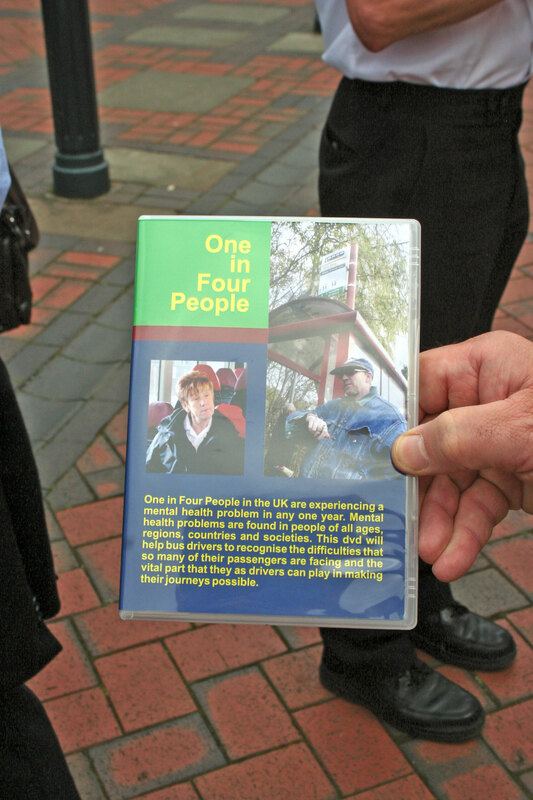 The DVD shows how to assist customers who may require patience and assistance but have no visible mobility impairment or who may feel extremely anxious about bus travel. It also demonstrates how to deal with people who may behave in ways that seem strange or bizarre to the driver and/or other passengers, as well as how to help people who may find it difficult to ask for the help they need. According to its creators, this new training aid provides a suitable interactive classroom based training course for drivers undertaking a Driver CPC periodic training programme. CPT’s Operations Director, Stephen Smith, said the story of how the DVD came into being starts a couple of years ago when CPT was in discussions with various disability awareness groups about what could be done to make transport even more accessible. Through this the organisation was introduced to the Mental Health Action Group, who made a presentation highlighting the difficulties in catching buses experienced by people with mental problems. Stephen said it was ‘eye opening’. This inspired the CPT to look how it could further involve itself with improving access to public transport for people with mental health issues. It was decided that the best way to do this was to produce a DVD. The CPT worked with the Association of Trainers and People 1st to develop the concept of the video. It also benefited from DfT funding, which covered the cost of producing it. ‘One in Four People’ is suitable for a three and a half hour Driver CPC course as part of a Disability Awareness module. Speaking to Alex Hornby, trentbarton Marketing and Communications Director, I discovered his company is adopting the DVD along with the workbook as part of its training module that focuses on the differing needs of passengers. Alec Horner, CEO of the Association of Trainers, said it is important to explore new topics to be included in Driver CPC training to ensure the next phase of it does not go over what has already been covered. Stephen said that in the past there has been a lack of awareness of mental health issues in the industry. However, in recent years this has changed, improving for the better, but is still an area in need of attention. This DVD is aimed at operators’ and drivers’ knowledge of such passenger difficulties, increasing their awareness and skills in helping them. Introducing it fits in with CPT’s overall goal of making bus travel more accessible for people with disabilities. It links in with its involvement with the passenger assistance cards that have recently been rolled out by some operators. These cards give disabled or elderly passengers a discreet way of telling the driver any difficulties they may have or what assistance they require. These can be downloaded from CPT’s or any participating operator’s websites. They can also be personalised with company logos on request. According to Stephen, one of the next possible areas CPT will be focusing training aids on is bullying on school buses. Available industry wide, the DVD and workbook is on sale to CPT members at £125 plus VAT and to non-members at £250 plus VAT. A donation will be made to the Mental Health Action Group for every purchase.